India’s biggest startup acquisition in history might be in danger of falling apart, less than a year after it was announced. 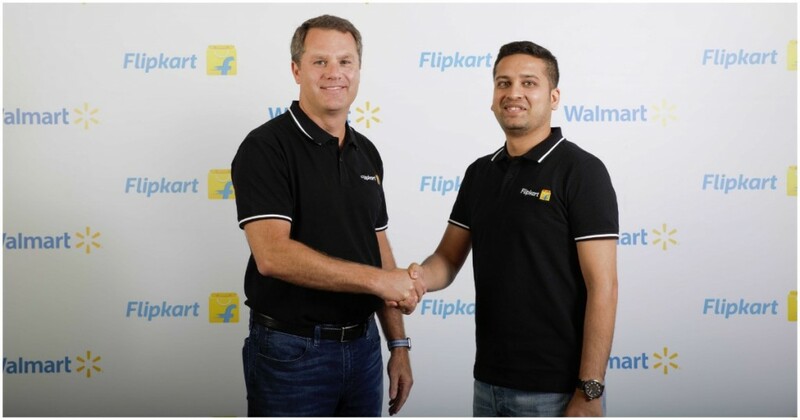 Walmart could exit Flipkart after India introduced new e-commerce rules which prevent e-commerce marketplaces from selling items from their own companies, a Morgan Stanley report has warned. “An exit is likely, not completely out of the question, with the Indian e-commerce market becoming more complicated,” the report said. “There is a precedent for an exit as Amazon retreated from China in late 2017 after seeing that the model no longer worked for them,” the report added. From 1st February, India instituted new e-commerce regulations, which disallowed online marketplaces like Flipkart and Amazon from selling their own products, or products from companies that they held an equity ownership in. The rules were intended to provide smaller sellers a level playing field to compete with the large marketplaces, but the rules also meant that Amazon was no longer able to directly sell its Echo range of speakers, or even clothes from Shoppers Stop, in which it has a 5% stake. The rules also prevented e-commerce sites from having exclusive partnerships with manufacturers, which meant that future sales of smartphones couldn’t be restricted only to one site. The new regulations have hit Indian e-commerce marketplaces hard. Morgan Stanley said Flipkart would need to remove nearly 25% of its products from its site under the new rules. Smartphones and electronics would feel the greatest immediate impact because of the necessary changes to supply chains and existing exclusivity deals, the brokerage said. Also, smartphones sales account for nearly half of Flipkart’s revenue, which means that its top-line could be significantly hit in the coming months. Morgan Stanley believes that the new rules could cause Flipkart’s losses — which already run into the thousands of crores — to further rise. That could cause the company to reconsider its India strategy, and possibly exit the startup it had acquired in March last year at a valuation of $21 billion. Walmart, for its part, has dismissed such claims. “Despite the recent changes in regulations, we remain optimistic about the ecommerce opportunity in India given the size of the market, the low penetration of ecommerce in the retail channel and the pace at which it is growing. As Walmart scales in India, the company will continue to partner to create sustained economic growth across agriculture, food and retail. Future investments will support national initiatives and will bring sustainable benefits to the country,” a company spokesperson told ET. But these new regulations have meant that Indian e-commerce companies, which were anyway reeling under heavy losses, will now find it even harder to make profits. The impact of these changes are already being seen — Paytm Mall recently cut back on its cashbacks, and discovered that product sales fell as much as 90% in some categories. With the new laws making it even harder for e-commerce companies to make money, the field, which was once the darling of both investors and large corporate alike, might not end up being the money-spinner it was once seen to be.